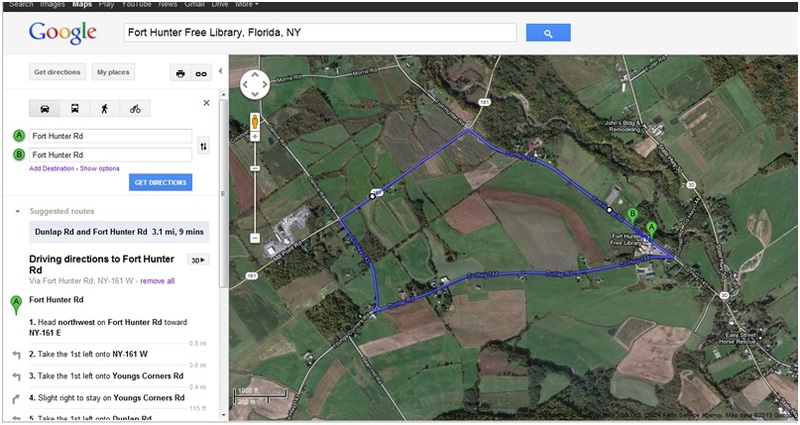 5K Route is 1 Loop, 10K Route is 2 Loops. 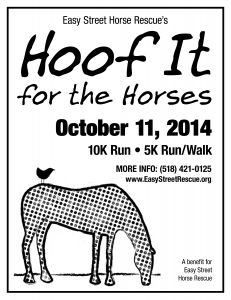 10K Run, 5K Run, and 5K Walk benefit for the horses of Easy Street Horse Rescue, a 501(c)(3) non-profit charity. Join us at the Town of Florida Social Hall – 167 Ft Hunter Rd, Amsterdam. Will be loads of fun. Runners/Walkers take off at 10am. Join them or root them on. Multitude of prize categories for Runners! Prizes for top three Walkers! From come, first served on T-Shirt! Be sure to give us your size! 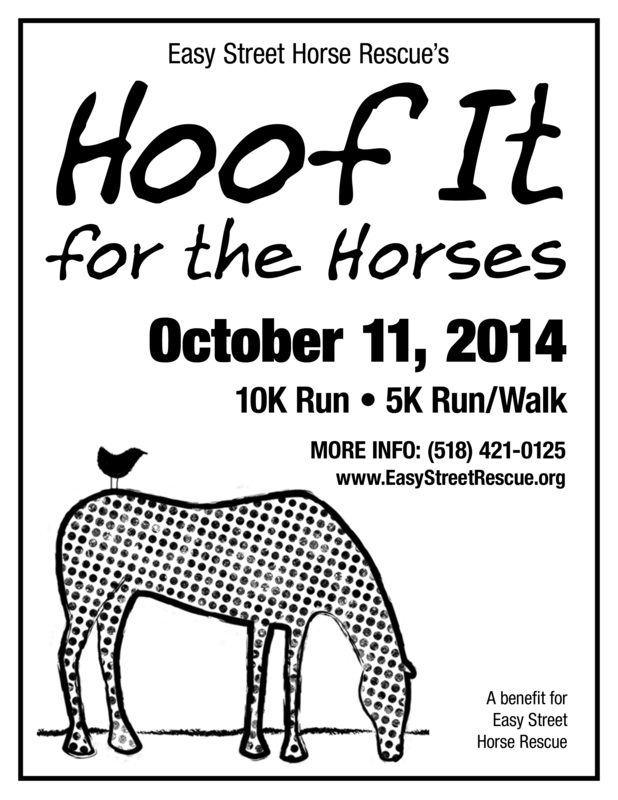 Run, Walk or be a spectator and have a fun time! 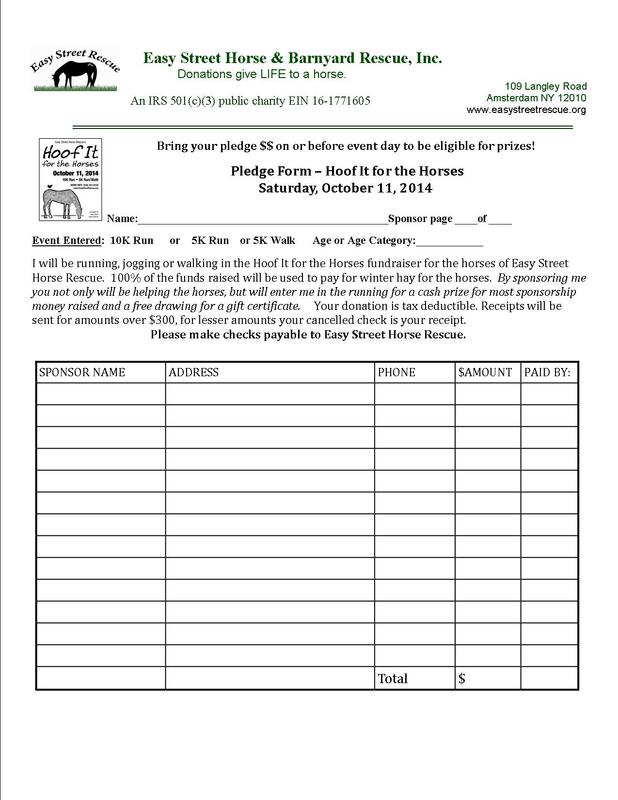 RUNNERS & WALKERS: OBTAIN SPONSORS FOR THE EVENT AND WIN CASH. THE MALE AND FEMALE WITH THE MOST SPONSOR MONEY RAISED OVER $150 AND TURNED IN ON OR BEFORE EVENT WINS 25% OF YOUR SPONSOR MONEY RAISED!